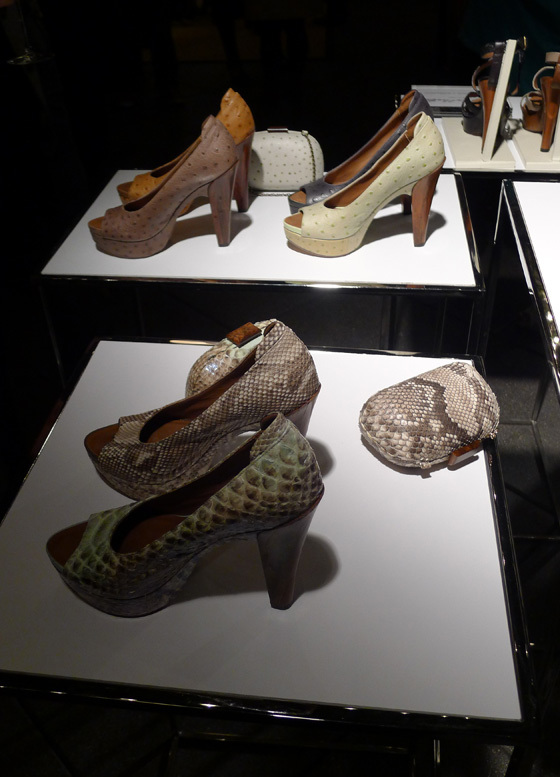 Last week UGG Australia showed off their spring collection at the Gramercy Park Hotel, where we sipped wine and gawked at gorgeous shoes. I took along a born-and-raised California girl who grew up surfing and wearing classic UGG boots, and she was impressed upon seeing the UGG Collection shoes for the first time. She's got her eye on the snake skin pumps. This UGG girl is going full circle, and who can blame her? Gorgeous. Personally, I'm in dire need of the woven, open-toe booties. But lace insets are hot for spring, too. You won't find the Collection shoes on 34th Street, but you can find classic UGGs and spring shoes at Journey's in Herald Center. Photo courtesy of UGG Australia. Wow, I see a lot of things I like!